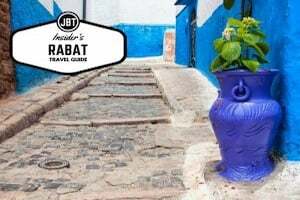 Many travelers consider Rabat an overlooked gem. 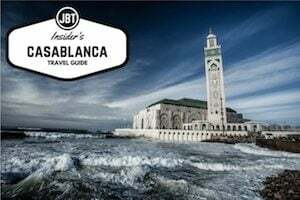 It is the cleanest major city in Morocco and many people love this city because of the ease in which one can get around — wide sidewalks, friendly petit taxis and a new tram to help commuters get around Rabat and across the Bouregreg River to nearby Salé. 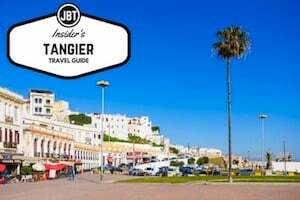 Rabat has a real European feel to it, with cafés lining the streets, a fine selection of restaurants, and a mix of languages overheard on the streets. Just up from the hill from the medina is the Kasbah of the Udayas (Oudayas or Oudaïas), a well-preserved fortress dating from 12th century Almohad Dynasty with commanding views over Rabat, nearby Salé, the Bouregreg River and the Atlantic. Wander through the Andalusian Gardens, up through the blue-painted walls and enjoy a tea beneath the shade at the Café Oudaïa. A long stretch of the Rabat Beach starts behind the medina and down the hill from the kasbah. This is one of the better city beaches in Morocco and home to the Oudaïa Surf Club. In Rabat, you can easily dive into art and culture while feeling at ease. The Theater of Rabat is home to the Rabati Theater Troupe. Many comedies, usually in French or Arabic, are staged here as well as visiting performances from around the world. The Goëthe Institute and Institute Français keep year-long schedules of events and as well as the yearly Mawazine Festival which invites musicians from around the world. Some of the recent performers have been Alicia Keys, B.B. King and Ricky Martin. We’ve got some very good maps of each of Morocco’s medinas that we supply to our travelers coming on a journey with our team. Here’s a map of Rabat in Morocco to peruse. The Phoenicians, Carthegians and Romans all had strongholds in Rabat, with the well-preserved Roman ruin of Sala Colonia (Chellah) testament to this history, but for the most part, this area was tribal belonging to local lords and chiefs. It wasn’t until the Almohads in 1147 established their Moroccan empire that the first ribat (or, fortress, from where modern-day Rabat takes its name) was built on the site of the current Udayas Kasbah. The Almohad caliph, Moulay Yacoub al-Mansour moved the capital of the empire to Rabat in the 12th century, making it the first time Rabat served as a capital. Rabat flourished. This is when much of old Moroccan Rabat was constructed, including the unfinished Hassan Mosque, the medina, and the expansion of the hilltop fortress. A few hundred years later, only 100 houses in Rabat remained. Surprisingly, it was the Spanish Inquisition that provided a much-needed population to the area, with refugees storming down by the thousands from Andalusia. In 1672, Rabat and Salé formed an alliance, dubbing themselves the Republic of Bouregreg, which became a much-feared pirate hub and launched raids and attacks around Africa, Europe and the Mediterranean. This so-called republic lasted for over 200 years until the Alaouite dynasty, the current dynasty of Morocco, seized power and stomped out the piracy. Today, Rabat is the political hub of Morocco and the home of the King, His Majesty Mohamed VI, as well as various ministries, dignitaries and embassies. It was re-established as the capital of Morocco in 1912 during the French Protectorate Era and has continued its function as the capital city after Moroccan Independence in 1956 ever since. 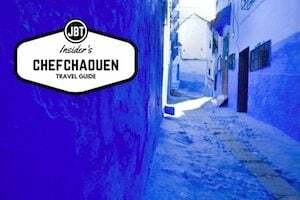 Udayas Kasbah — The Udayas Kasbah is a small, beautiful old kasbah with blue-painted walls and boutique shops. Be sure to stop by the Cafè Maure, sip on a tea, maybe grab a Moroccan cookie for a quick pick-me-up, and enjoy the view after a stroll through the Andalusian Gardens in the old palace grounds. Ignore any faux guides who will ask if you need a guide or tell you that you need to pay an entry fee to walk through the gates. If you have time, take a peek inside the Archeology Museum in the gardens for a look back through the history of Rabat. 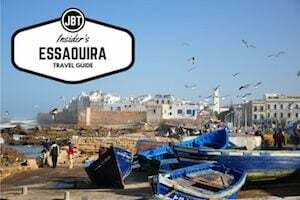 Shop the Medina — Like most other Moroccan cities, Rabat has an old, maze-like medina. 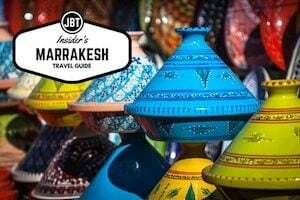 However, unlike other medinas around Morocco, the prices here are all basically fixed so you can stroll through this hassle-free medina in all of Morocco, casually shop for tea pots, carpets, leather bags and various other souvenirs, and skip the headache of haggling over the price. Hassan Tower and Mosque — This unfinished, ambitious mosque was initially started in 1195 by Yacoub el-Mansour (“The Victorious”) around the same time he oversaw the construction of the Udayas Kasbah. The Hassan Mosque was meant to be the second largest mosque in the world and the greatest in Morocco. Original construction was abandoned in 1199, after el-Mansour’s death, and never resumed. The mosque’s prayer hall was in use until the Great Earthquake of 1755 (the same that leveled Lisbon) brought down the supporting columns, some of which have been resorted to give an idea of its possible size. It remains one of the most beautiful pieces of Almohad architecture in all of Morocco, though not as complete as the Koutoubia Mosque in Marrakesh. The Mausoleum of Mohammed V — Just across from the Hassan Tower lies the Mausoleum of Mohammed V, begun in 1961, the year of the King’s death, and completed six years later. Mohamed V, his sons Hassan II (the current king’s father) and Moulay Abellah. The lavish mausoleum was designed by Vietnamese architect Vo Toan. Jewelry Museum — Nesting in the 17th century palace of Moulay Ismail in the middle of the Oudayas Kasbah is the Jewelry Museum. Explanations here are limited to French, Spanish and Arabic, though it does house a fair selection of jewelry from the Phoenician and Roman colonies in Morocco, as well as jewelry typical from the various regions and cities of Morocco. This is the stop for those looking for a historical perspective of the jewelry adorning the women, and men, of Morocco. Open daily except Tuesday, 9am – 4pm. Mohammed VI Museum for Modern and Contemporary Art — Newly opened in October 2014, the Museum for Modern and Contemporary Art in Rabat is dedicated to preserving both past and present art in Morocco. Inspired by traditional Moroccan architecture, the museum took a decade to build and cost more than US $20 million in total. The first exhibition was dedicated to the last 100 years of Moroccan art, labeled: “1914–2014: 100 Years of Creation” and hosts 400 art pieces by over 150 Moroccan artists. The more modern pieces lean towards the abstract and figurative. 10, rue Beni Mellal, Angle Av Mohamed V. Tues-Sun, 9:30am – 7:30pm. Chellah Gardens (Sala Colonia) and Necropolis — Head to the Chellah Gardens for a relaxing, beautiful walk through this ancient Roman-Moroccan ruin. Originally the site of the Roman city of Sala Colonia, hundreds of years after the Romans fled Morocco, the Almohad dynasty used the now abandoned city as a necropolis, dubbed Chellah. They were followed by the Merinids, who built a mosque, zaouia and the royal tombs here. The great Lisbon earthquake of 1755, the same that leveled much of Meknes, damaged many of the structures here and the unused city fell into ruin. Today, Chellah has been transformed into a popular tourist destination for the expansive gardens. In the spring, hundreds of flowers are in bloom and couples can be strolling at their leisure along with the occasional bird watcher gazing up at the storks. The grounds are yours to explore, from the citadel to the ruins. The gardens also play host to the annual Chellah Jazz Festival, which is usually held in September. Open daily, 8am – 6pm. To search for a particular restaurant, we recommend Best Restaurants in Morocco for the most up to date menus and other information available on the internet. Below are a few of our favorites places to dine. Ch’hiwates du Terroir — Opened in the Spring 2014, this new restaurant has made its mark for its fresh, all organic, slow-food inspired menu. Some interesting vegetarians couscous options and a nice, contemporary take on Moroccan cuisine. 7 Rue d’Oran,+212 (0) 5 37 2 6 26 28, reservations recommended, daily 12pm-3pm. Le Dhow — Get in touch with the old pirate vibe of Rabat and hop aboard this ship docked just down from the kasbah on the Bouregreg River. Seasonal seafood and grilled steaks will fill the gullet, but really come here to get a little rummy with other landlubbers swobbing the decks. Quai des Oudaïas, +212 (0) 537 70 93 81, reservations recommended, Mon-Fri, noon-2am, Weekends 11am-2am. Dinarjet — Come at night to follow a guide leading you through the medina by lantern light. Traditional Moroccan cuisine. A little expensive for what it is, but the atmosphere with the light strum of the oud player is unbeatable. 6, rue Belgnaoui, in the medina, tel: +212 (0) 5 37 70 42 39, reservations recommended, daily noon-3pm and 7pm-11pm. La Mamma — One of the more family-friendly restaurants in town. This pizza joint is a Rabat staple and a favorite expat hangout. Look for it tucked behind the Hotel Balima on Avenue Mohammed V. 6 rue Tanta, tel: +212 (0)5 37 77 07, reservations recommended, daily noon-3pm and 7pm-11pm. If you’ve got any information to share about Rabat, feel free to let us know! 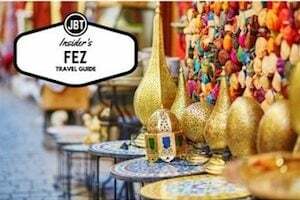 About Our Team: Journey Beyond Travel has a variety of itineraries that allow you to experience the real Morocco and get off the beaten path. If you’d like to have a superbly planned and implemented trip, please contact our team to get the ball rolling. You can also enjoy our website, quality articles, and feel free to join us on Facebook and Twitter.